For those of you who might not be aware, Zhiyun-Tech has recently started to include their Focus Motor free of charge with each purchase of the highly popular Crane 2 gimbal. With the add-on, one can take advantage of the Crane 2’s integrated focus wheel for easy zoom and/or focus adjustments, without having to touch the camera while shooting with the gimbal. The motor’s built-in drive gear features 24 teeth with 0.8 MOD spacing for interfacing with industry-standard cinema lenses, or for DSLR/mirrorless camera lenses with lens gears on them. Once properly installed, the proprietary gimbal follow focus system will provide you with precise focus pulls on the fly which is an essential prerequisite when using manual lenses for your rig. 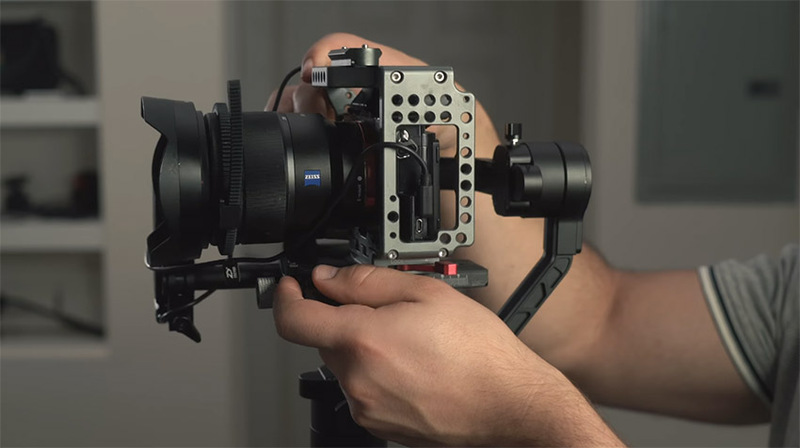 So, if you’re unfamiliar with how to set up the Crane 2 properly, the video produced Josh Morgan of Momentum Productions below will walk you through the follow focus system setup process. When you receive the follow focus kit, you should have the following: the servo unit, rail, rail connector, follow focus ear, power cable, and Allen key (hex key). All of these are necessary to have when setting up your rig. 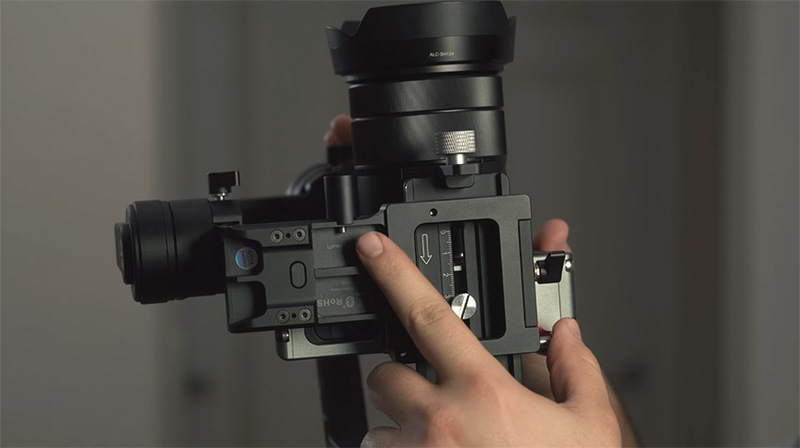 The first step is to balance Zhiyun Crane 2 without any of the follow focus equipment. Next, you’ll need to attach the follow focus rail connector onto the gimbal head, using the hex key to tighten the component. Keep in mind that this might be the trickiest part of the process as you need to hold the gimbal with one hand and do the rest with the other. After the connection piece is secured, you’ll have to install the extension rail and tighten it using the hex key. Once that’s done, go ahead and attach the follow focus gear ring around the zoom or focus ring of your lens. Just make sure that the gear ring won’t interfere with the servo as you make your focus adjustments. Next, mount the servo unit to the rail. Before tightening everything, ensure that the teeth of both the gear on the servo and the gear ring on the lens are aligned perfectly. The final step is to install the cables. To power the servo, connect the latter to the pitch motor, using the included power cable. Now tether the camera control cable from the camera to the follow focus unit. Since at this stage you’ve altered the weight of the entire system, you’ll need to rebalance the gimbal’s head until it is as stable as possible. 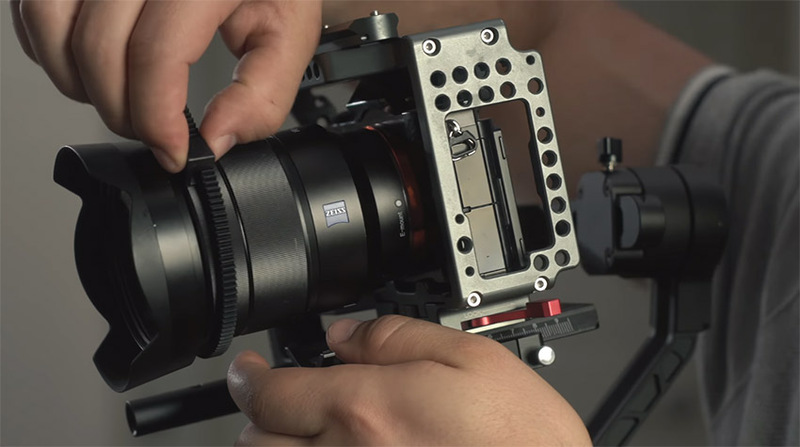 Before operating the follow focus system, there are a few things to consider. Firstly, it would be a good idea to check the Zhiyun website for any possible firmware updates available for both the gimbal and follow focus system. Secondly, when using the follow focus, setting A and B Points will allow you to seamlessly rack focus, helping you land the right focus distance throughout your takes. This can be done by going into Menu > Wheel > Abpoints, and then setting the distances for both points accordingly.